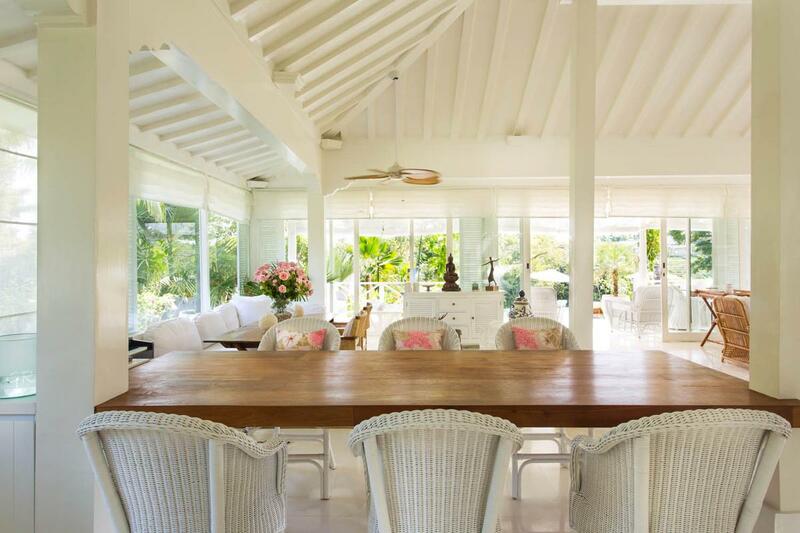 Set in the heart of Umalas this completely private Plantation-Style home brings to mind Ralph Lauren and Hamptons elegance, with its white-on-white design that exudes both character and charm. 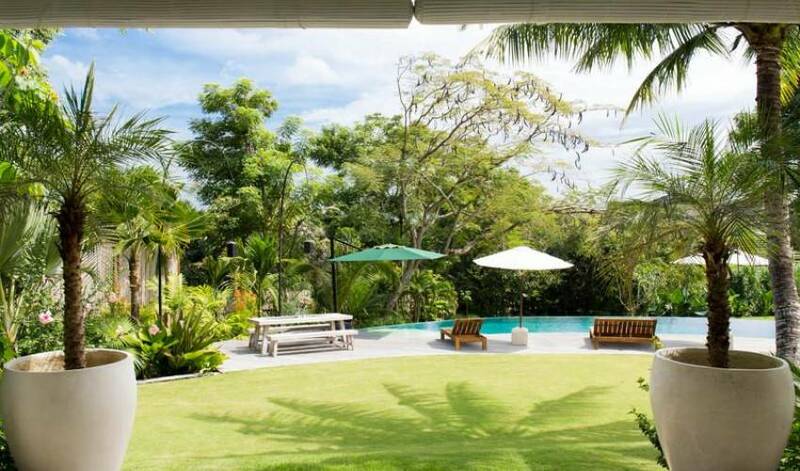 West-facing and made up of several pavilions and a separate bedroom wing, this residence overlooks beautiful gardens and manicured lawns, with picture-perfect rice terraces beyond. 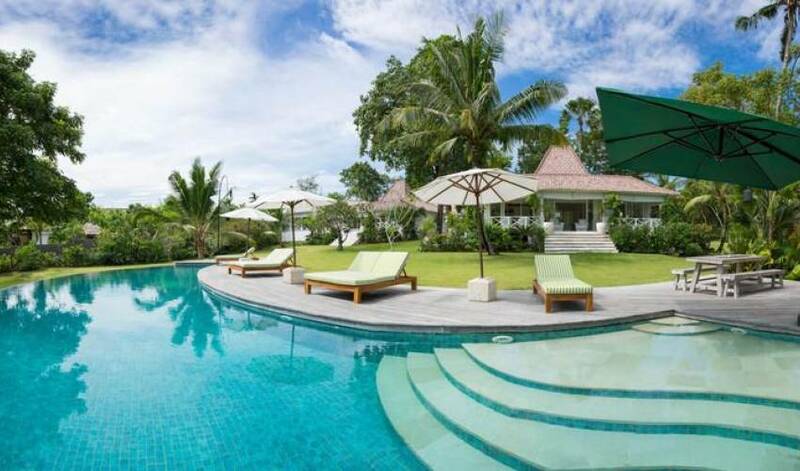 Built on a gently sloping site, this beautiful villa sits on 6600 sqm of land and can be best described as ‘Plantation Elegance with Indonesian influences” and comprises a number of modernized Joglo pavilions, as well as the “New Wing”, with each individual area featuring high ceilings, expansive verandahs and all overlooking a 25 meter pool that follows the original contours of the land. Completely private and peaceful, this is the type of property that would normally stay within a family for generations. 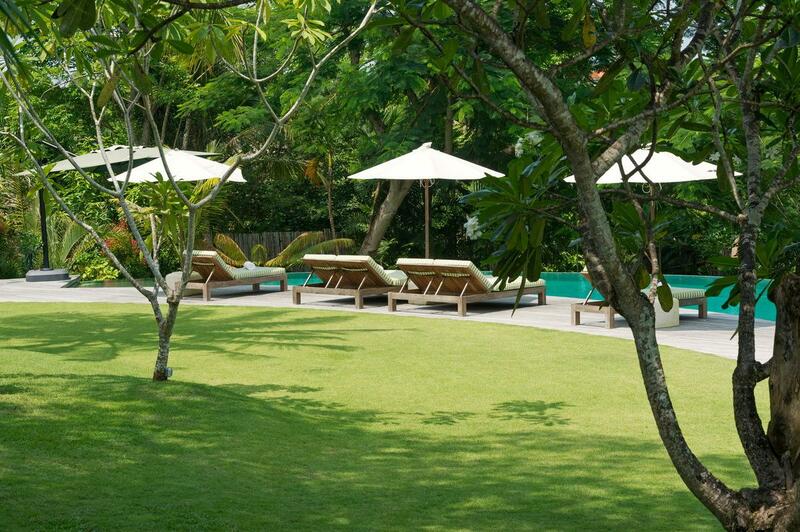 ‘Colonial Elegance with a modern twist’ best describes this private and uniquely beautiful residence that is just a 10-minute drive from the heart of Seminyak. 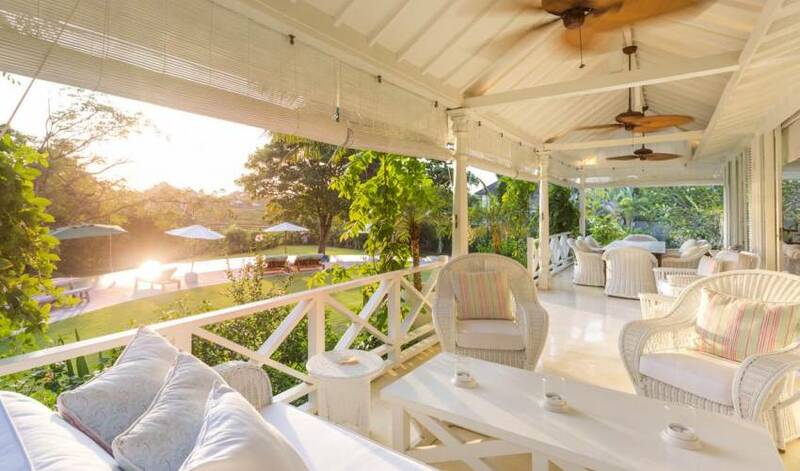 Magical rice field views with full sun, manicured lawns and a beautifully put together garden with an array of tropical flowers and mature trees are on full view, passionately designed and overseen by Garden Designer, Bruce Johnson. 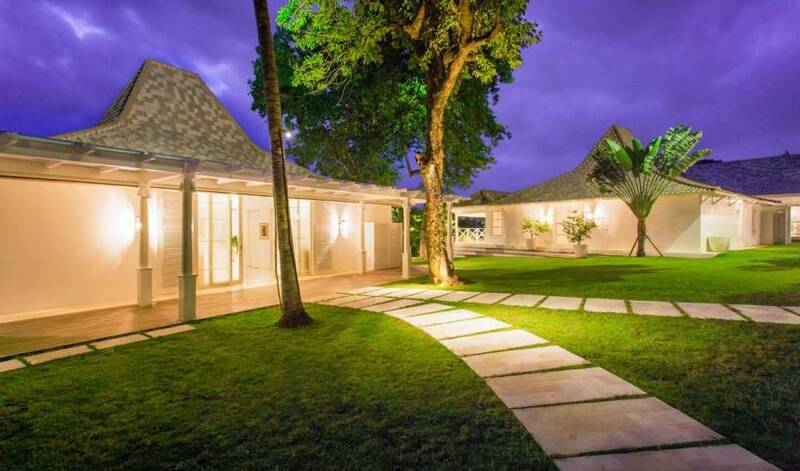 A private entrance to the property focuses you directly onto the main living Pavilion that contains a modern open-plan kitchen; staff quarters and laundry are housed together in their own Pavilion on the right as you enter the property; and further away and beautifully positioned is the “New Wing’ containing bedrooms and a media room. 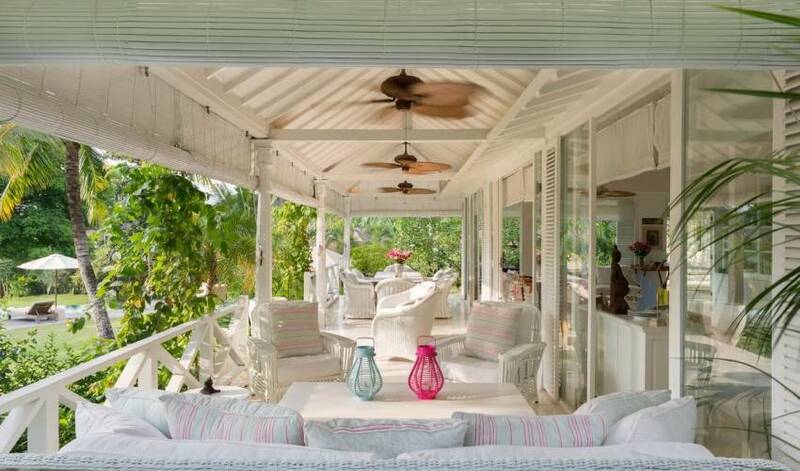 Next to the Living Pavilion sits a totally self contained Guest Pavilion that holds a Baby Grand piano. 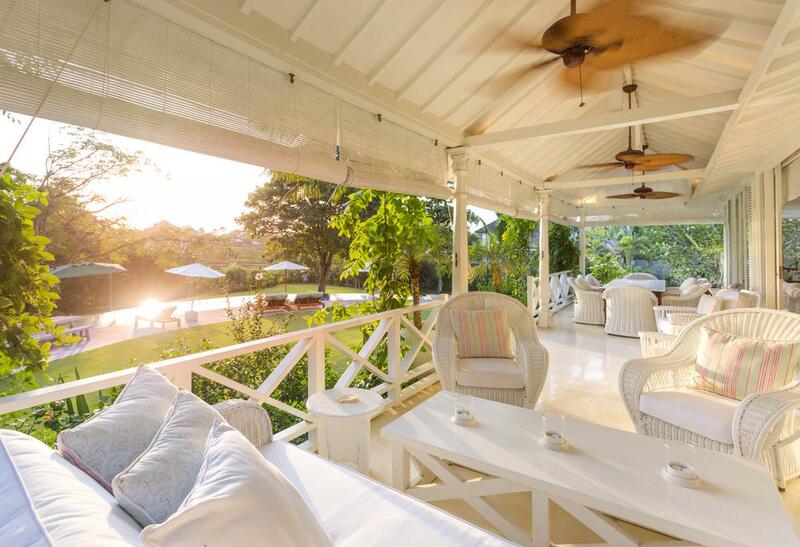 A newly installed permanent “Tented” pavilion (think “Amanwana”) provides an alternative space for entertaining or can be simply used as an extra bedroom with en-suite. Meticulous craftsmanship are evident all around: Tongue-and-groove paneling and balustrades in Benkerai give a boathouse feel; classical columns set around deep verandahs with overhanging eaves add European elements; and the warm terrazzo floors of the restored ‘Joglo’s’ create a surface shimmer that work well in contrast with the Benkerai floors that run throughout the ‘New Wing’. 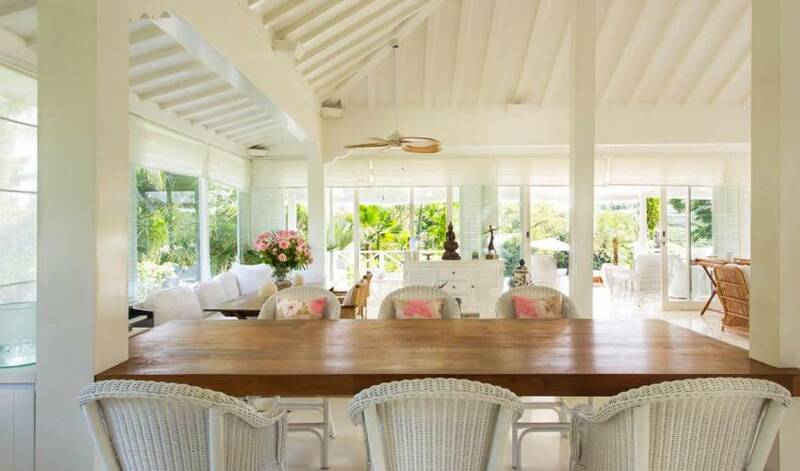 The “New Wing” has been cleverly designed to allow for internal access to all rooms along a wide hallway with beautifully polished wood floors, or alternatively can be individually closed off with access to each from the “all weather” verandah that stretches the length of the building. The wing contains a generous Master Bedroom with lovely views and has a special architectural feature of “His” & Her” separate bathrooms - divided by a bath - with a large walk-in dressing room at the other end of the suite. In the same Pavilion are two generous sized bedrooms, each with en-suite bathrooms and a media room that can double as a bedroom if needed. 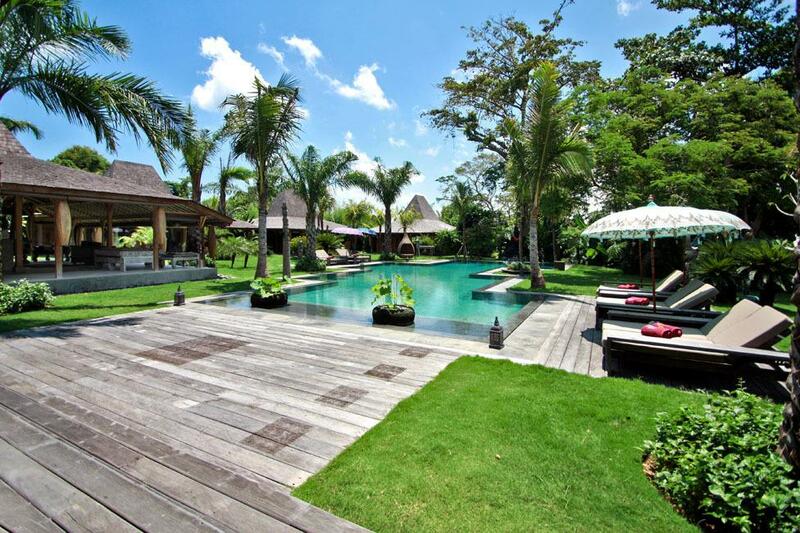 This stunning property is situated close to the main shopping and restaurant area of the well renowned Seminyak and Legian, whilst remaining a place to relax and enjoy the beauty of nature. 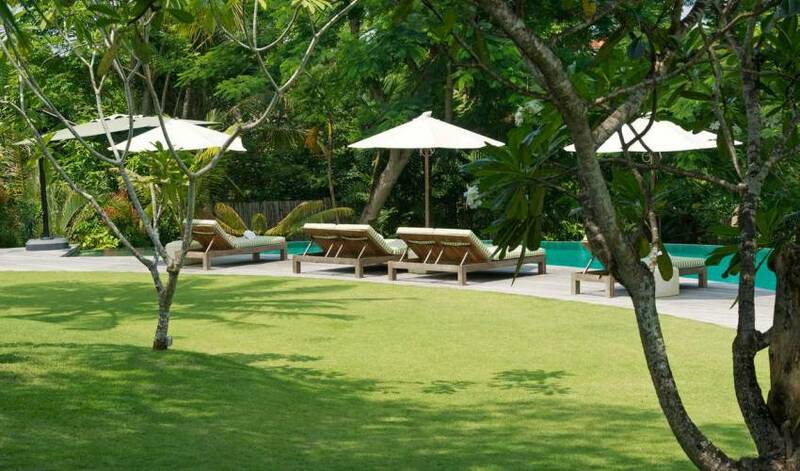 It is approximately a 35-minute drive from Bali’s international airport. 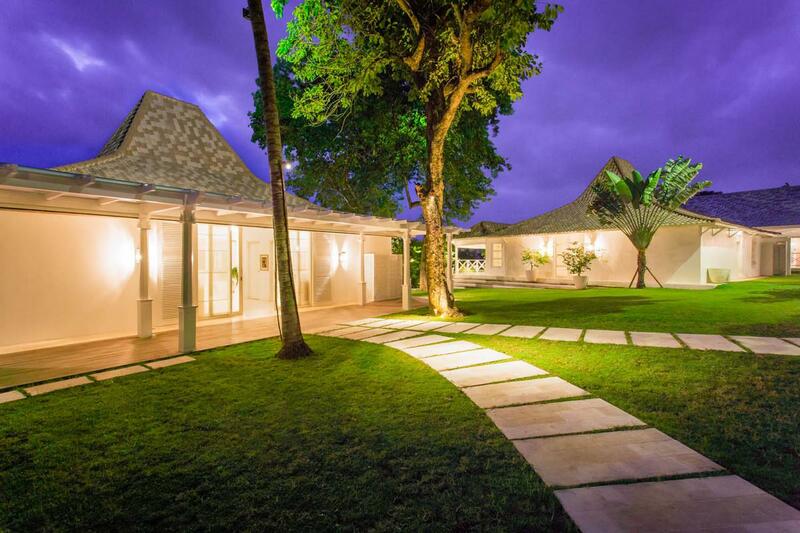 Bedrooms: 5 bedrooms with en-suite bathrooms, plus media room that can double as a bedroom. While it was not without some issues at the start, we found the Villa to be a wonderful place to stay and would definitely recommend to others to stay there as well. We especially thought that Yus the Chef was absolutely fantastic, and for us she made the holiday. Just want to thank you for letting us stay at your beautiful villa. We had 3 families stay, 2 toddlers and 3 babies and we had a wonderful time. Your staff were all attentive and not intrusive. 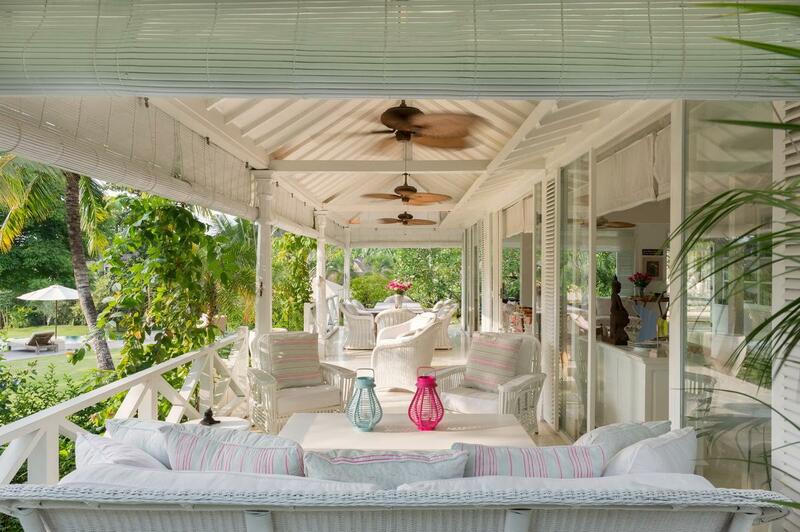 We would love to stay here again, actually we don’t want to leave!